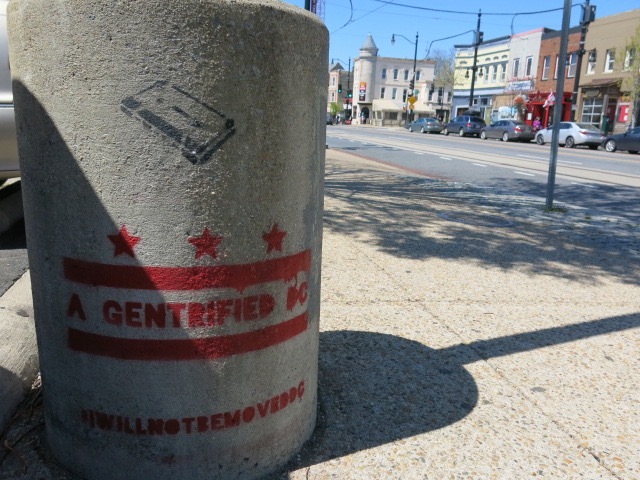 PoPville » Is it too late to talk about H Street and Gentrification? 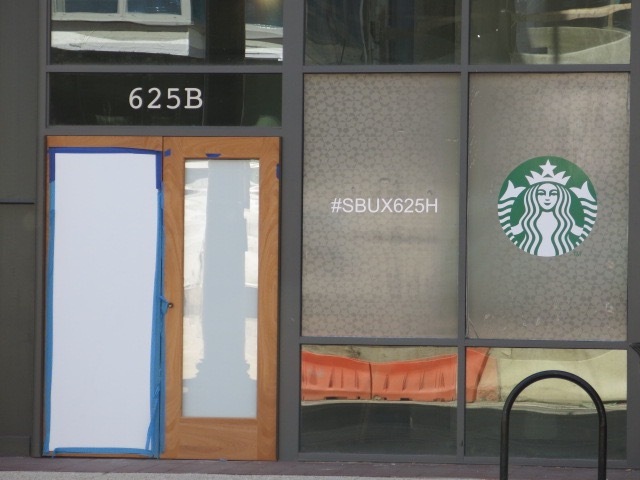 Is it too late to talk about H Street and Gentrification? 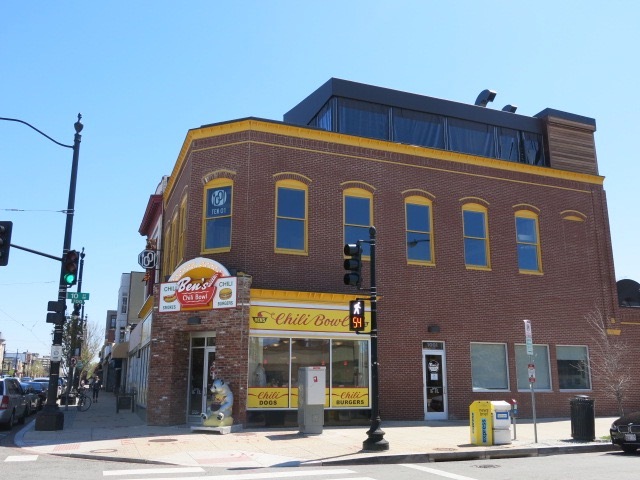 Speaking of which, if you do consider H Street gentrified – does that make Ben’s Chili Bowl a gentrifier too? Do you think these taggings are a call to action for H Street specifically? Have you seen them in other neighborhoods? 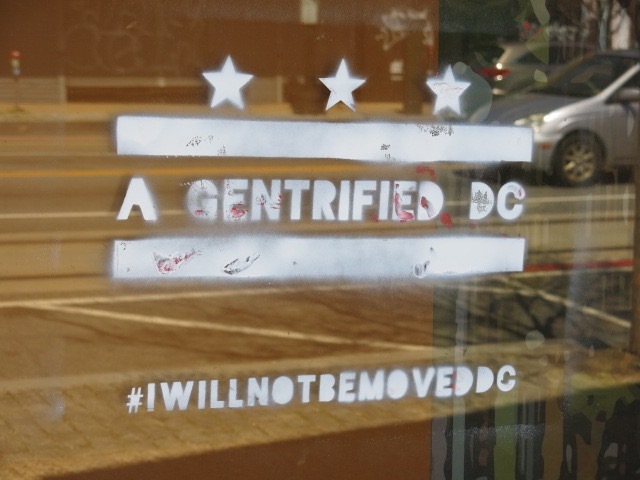 Looking up the hashtag #iwillnotbemoveddc it appears to have been started by some folks from the nomad yard collectiv, originally located near Union Market, who can now be found in Mulebone at 14th and V St, NW. Where does the discussion go from here for H Street?